FoodThoughtsOfaChefWannabe: Cream puffs, dream puffs! OK, so the buildup to this particular blog was sort of ridiculous. You know, the whole, to give over the secret recipe or not to give over the recipe thing. Here is what I decided. I decided to write a new recipe! In fact, I may like this new recipe better than my secret recipe! I LOVE cream puffs. Wait, let me call them their technical name, real chefs call them, "profiteroles". 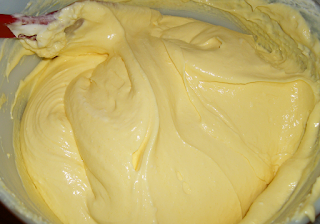 This dough is also called "pate a choux". You can use it to make eclairs too! 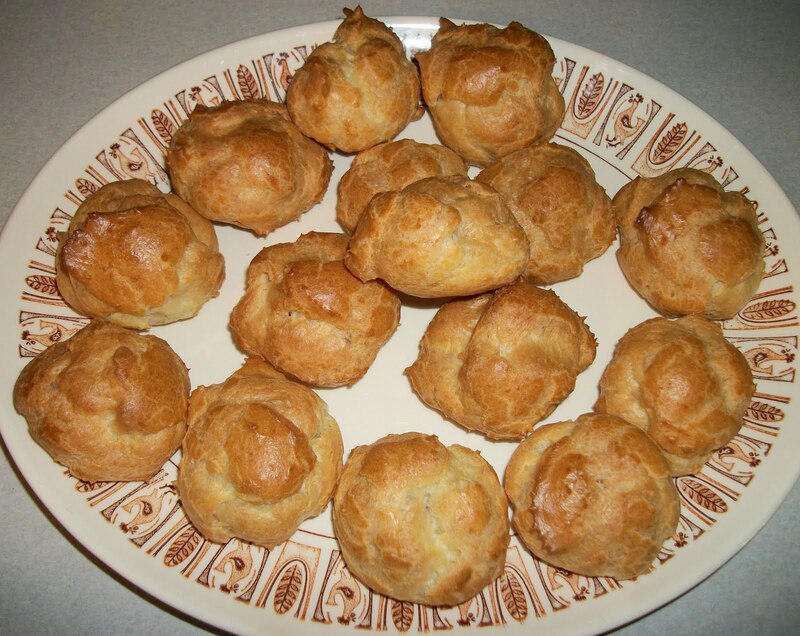 Profiteroles are traditionally filled with ice cream. I am not personally a HUGE fan of ice cream, which I realize is unAmerican at best, but it is true. You can fill them with pastry cream, sweetened whipped cream, drizzle with caramel, chocolate or dust powdered sugar over the top. Truth is though, I hold the powdered sugar. Some of you may be able to sympathize, some may not but, we, well endowed girls, well we know where the powdered sugar always ends up! Regardless of how you top it, it's the shell and filling to me that make the entire cream puff experience totally and utterly dreamy. (you know because that is all there IS a cream puff, duh) Most dough recipes are written so that the cream puffs can be used as a sweet or savory delivery system. (You can fill them with chicken salad, tuna salad, any salad or cheese mixtures, and warmed). Since I know which I am using them for when I make them I have altered my recipe to fit my tastes. I like my dough slightly sweetened when being used to fill with a sweet filling. Keep in mind as you follow the recipe, I will note what to omit for a savory cream puff. Aren't they a thing of beauty? Let them cool completely before you move on to the next step. This is the point where you clean up, cause that dough makes a mess!! So clean 'er up kids before you move on!! Now for the filling. Like I mentioned, some people use just plain pudding or whipped cream. Here is a recipe I came up with and it is delish! Using a stand or hand mixer, combine all ingredients. Mix on high for a 1 minute and then whip for 2 minutes to "fluff it up." You may need more or less milk, depending on your preference. I like a light, fluffy, but creamy filling. Put filling into a piping bag and pipe into a little "hole" in the side of the cream puff or cut the top off and spoon fill and replace the top. I usually pipe my filling, however, I am addicted to piping so.....! This time I cut the top off, and spoon filled them, replacing the tops when done. So even though you may think they are labor intensive and hard to make, cream puffs are a cinch. They are a quick and easy dessert. They can easily be turned into the perfect hors d'oeuvre's. Please take the time to try them, you will see how delicious and fun they are!! Now to go finish filling these up so my husband can share them at work tonight! It's FRIDAY!!! 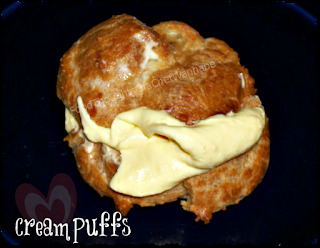 Happy Weekened and make Saturday a CREAM PUFF day!! Okay...so I'm "anonymous"...somebody help me...I can't post from my profile!!! Someone else was having the problem, part of why I went ahead with the facebook page. Just post your comments there if you can't post them here maybe?!! MAKE THESE!!!! Oh they are SOOOO good!!!! !